Roam this page to find current local radar data. Scroll down below that display for regional radar including loops. Forecast numerical model graphics. Click on Model Guidance, in the Model Area click “NAMER”, in the Model Type click RAP, NAM or GFS then select 10m_wnd_precip for surface winds and predicted precipitation. One of the few sites to get free NWS Dual-pol radar data. Click on Nexrad sites, and the location you want. National radar maps zooms in from bar on right. Select different radar variables from bar on left. Current weather, current and archived radar data, forecasts. Click Forecasts. Quick-look charts are on the right. Switch between model plots. RAP (next 12-18 hours), NAM (next 3 days), GFS (up to a week). 925mb winds are good at bird migration height (1000-1500 ft over Mississippi valley). For good looking charts, 4-panel or 6-panel or 9-panel to get an overview. 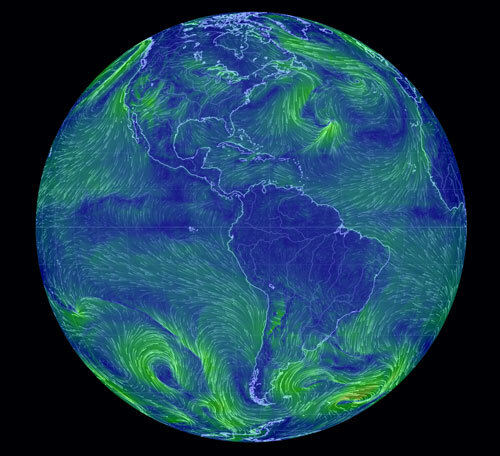 Charts that show wind arrows converging are probably fronts and may be fallout zones during migration. Radar loop will show migration, and you’ll know when to look for severe weather! One forecast per week. They have bigger plans. No more current posts, but Archives are a great place to learn about the impacts of weather during migration. Scroll far down on the lower right. Current satellite image and wind arrows. Thanks to BBAS member Karl Jungbluth, our own resident meteorologist, for the resources available to birders tracking migration.